'Jock' Henderson of The Royal Hospital Chelsea recalls his enlistment in The Queen's Royal Regiment at the age of nineteen and his early drafting to the 1st Battalion in Malta. From there the Battalion, under the command of Colonel Ponsonby, sailed for China in the troopship Neuralia. 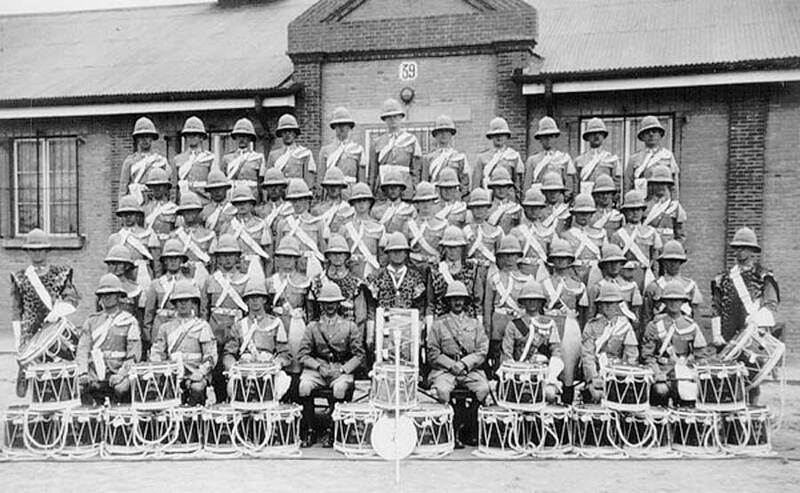 Doubtless enthralled by their voyage the troops passed through Port Said, the Suez Canal and Aden and then on to Karachi and Bombay where they marched through the town with band and drums playing under the direction of Bandmaster Perry and Drum Major Wallis. From Karachi it was on to Colombo, Hong Kong and Shanghai where a further march took place around the British area. Finally the Battalion arrived at Wan-Tao where ice had to be broken to allow the ship to dock. The port was in a coal mining area so some of the background scenery had a sense of familiarity to Henderson who had himself been brought up as a miner in Tyne and Wear. 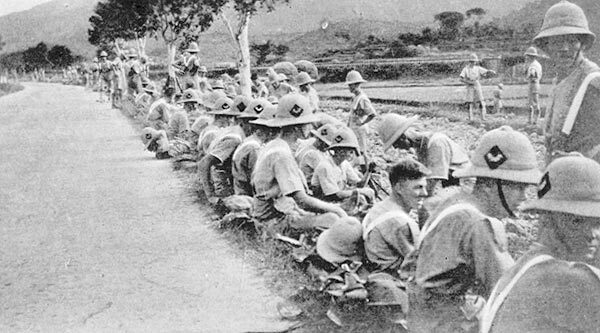 On disembarkation the Battalion was divided, one company travelling by train to Peking while the remainder, including Henderson, went to Tientsin to relieve The Royal Scots. The first thing noticed by Henderson was the extreme cold. Fur hats, fur coats and Gilgit boots had to be worn on guard duties and large fires were kept going in the barrack rooms. Henderson at this time was a drummer - sometimes taking the upward path to Lance Corporal and (as he admits) sometimes back down again. He describes Tientsin as a busy city, about the size of Doncaster, and he was impressed by the Gordon Hall and its beautiful garden and Cenotaph where, at the appropriate Remembrance Ceremony on November 11th, he and other buglers sounded Last Post and Reveille. The Adjutant at that time was Captain Elias Morgan, ably assisted and supported by RSM Osbourne and CSMs Hartridge, Huskinson, Handscombe and Hawkins. At sport the Battalion was well represented in football, cricket, boxing and athletics. Mention is made of the names of some of the participants in these activities including one, Charlie Litton. Some unorthodox and irregular fisticuffs also apparently took place in the town on Saturday nights, keeping members of the Provost staff busy. During the four months of Summer the Battalion, with Headquarters, moved from Tientsin to Shanaikwan, a little village situated at the end of the Great Wall of China where it reached the sea. There, Henderson could sit at the end of the Wall on Sunday evenings, looking out to sea and the distant lights of Port Arthur. On other days he could walk across the wall and into Manchuria. More formal walks took place in the shape of route marches with band and drums, often meeting similarly engaged Japanese infantry. In 1932 Henderson was posted to Peking as a bugler in B Company. He describes his time there as very happy, living in the Legation where the cantonment was divided into different sections each of which were defended by different countries. The Queen's had the French Legation on their right and the Americans on their left. Also present were the Italians and Germans. 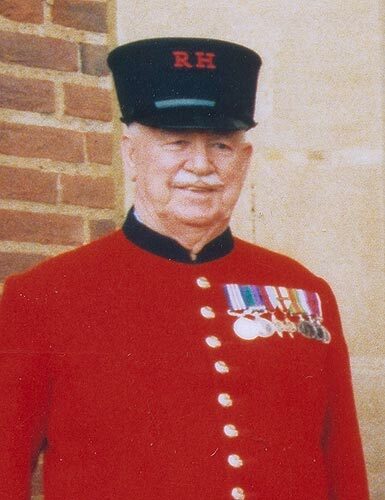 The British Ambassador, guarded by The Queen's, was Sir Alex Cadogan. While at Peking Henderson visited Chow Min Square and the Forbidden City which was reputed to conceal, in some unknown spot, the jewels of a former Dowager Empress. To Jock Henderson it was a lovely and personally loved city of which he obviously has happy memories. The China routine went on until 1934 when the Battalion moved to Quetta where they were to experience the devastating earthquake. 'Jock' Henderson finished his service as a Regimental Sergeant Major.